A leading progressive method for beginners, in three volumes, with over 25,000 copies distributed. 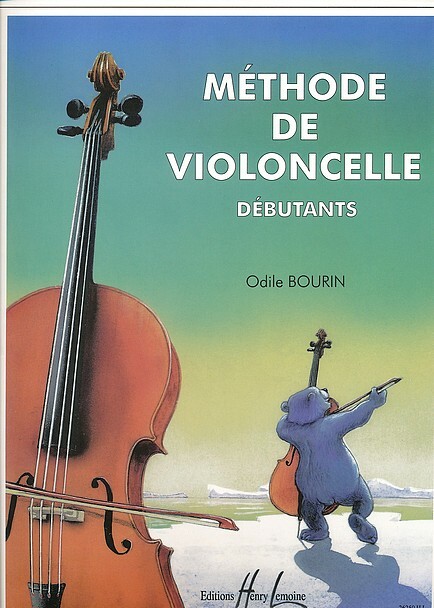 These volumes offer an effective pedagogical approach specially adapted to beginners: they allow a simultaneous approach for learning to play the cello and reading a musical score. To facilitate learning, the approach is based on using traditional French songs to which are progressively integrated some authored pieces. The method is very well illustrated by watercolors from Jean-Noel Rochut. 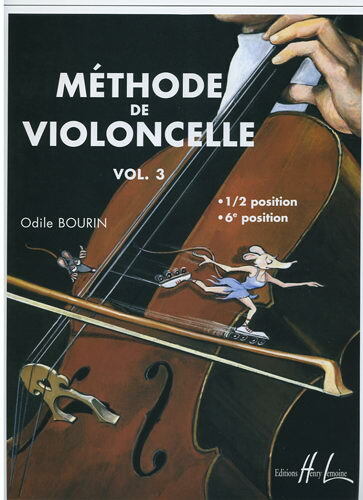 The first volume explores all the notes of the first position without extension, as well as various rhythms, bow lengths and positions, and string changes. It can be used by 5 year old kids even if they cannot read. The second volume deals with the backwards and forwards extensions in the first position and the fourth, third and second positions, with or without extension. The rhythms become more complex. 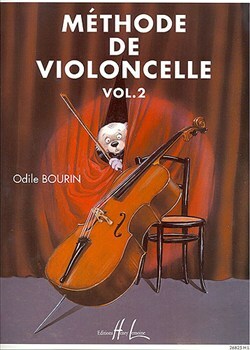 The third volume deals with the half and sixth positions. The tenor clef is introduced and widely used.